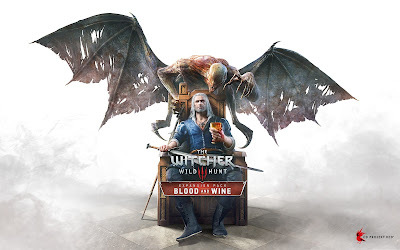 Blood and Wine is the second and final expansion addon for the huge open world game The Witcher 3 Wild Hunt. The final adventure of Geralt of Rivia takes us to the brand new region Toussaint a land untainted by war. Like a whole Witcher 3 game and last expansion Hearts of Stone, Blood and Wine coming with over 90 new quests and introduces to us new characters and also returing ones from the main game and the previous games and of course new monsters (20 New Monsters) especially Vampires and most kinds of them and for that a huge set of armor (more than 100 individual pieces of armor) and over 30 new weapons with a brand new mutations system to unravel a mysterious series of killing cause by an unknown monster that haunts the beauclair located in Toussaint. The Witcher 3: Wild Hunt, Blood and Wine is 30 hours plus adventures which conclude the Story of The Legendary Witcher The White Wolf, full of exploration, dark secrets and deeds and also romance. Geralt of Rivia own vinyard the Corvo Bianco is fully upgraded and decorated. The new introduced Manticore armor Witcher gear set is crafted along with its both silver and steel swords. All the new grandmaster witcher gears are avaible for craft plus all the old witcher gears like The Viper (Viper School), Ursine (Bear School), Griffin (Griffin School) and many more. An inventory full of weapons (Relic & Witcher: Silver & steel swords, crossbows), armor sets (Relic, Witcher Gears), crafting materials, alchemy ingredients, glyphs and a big collection of the different colors of dyes to change your armors colors and give it a new look. 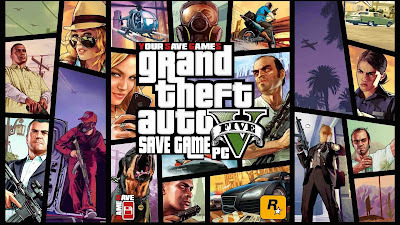 what is the version of this save game?